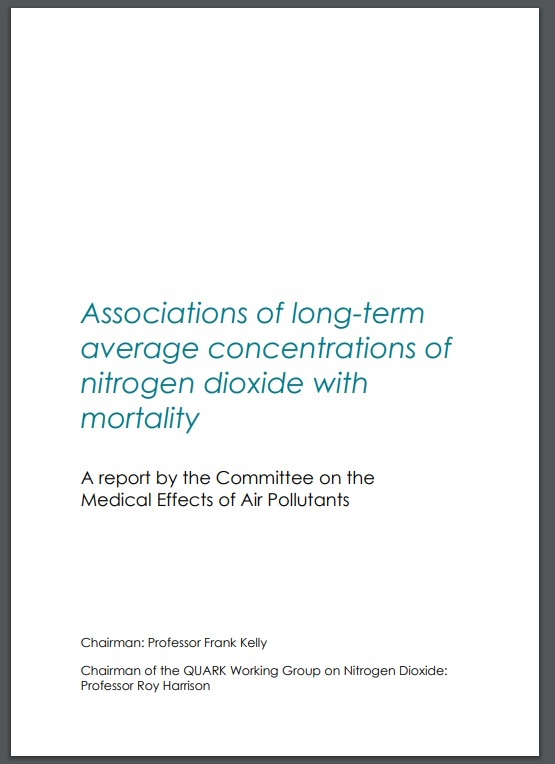 Today sees the publication of the Committee on the Medical Effects of Air Pollutants (COMEAP) publication ‘Associations of long-term average concentrations of nitrogen dioxide with mortality (2018)’. COMEAP has examined studies undertaken in a number of countries and examines the effect that long-term exposure to NO2 might have on length of life. COMEAP’s previous estimate of the mortality burden of human-made air pollution in the UK is an annual effect equivalent to nearly 29,000 deaths and this study has lead to the range of estimates of the annual mortality burden of human-made air pollution in the UK being estimated as an effect equivalent to 28,000 to 36,000 deaths.